mmWave links are unlike any other communication links encountered previously. It has high bandwidth is highly intermittent. Due to the frequent mmWave link outage, UEs are required to handover much more frequently than the legacy band. A major obstacle for mmWave handover is the structure of Evolved Packet Core (EPC). 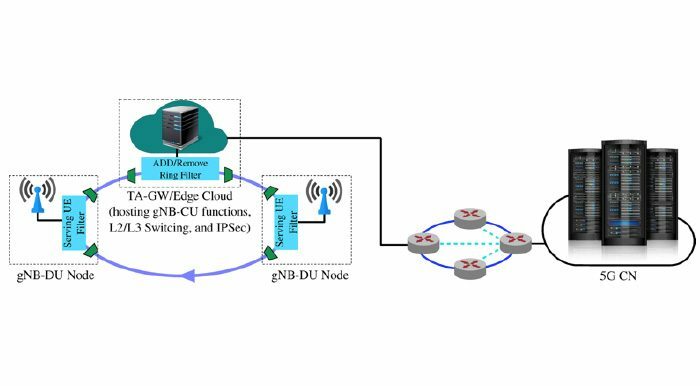 Although it is all-IP based, it still requires a connection between the mobility management entity (MME), serving gateway (SGW) and the base station (BS). Before user data is redirected to a new BS, new connections have to be established between MME, SGW and BS, which is both time consuming and high in signaling costs. Therefore, it is critical that the network architecture and protocols need to be rapidly adaptable to deliver a high level of user Quality-of-Experience (QoE). We are currently working to develop a ring-based network for mmWave fronthaul, called Fast Inter-BS Ring (FIBR), that interconnects mmWave BSs to allow UEs to switch between BSs seamlessly. With this new architecture, there is no need to establish connections between the gateway nodes and the BSs. UEs can upload/download data dynamically from a pool of neighboring BSs, instead of just one. 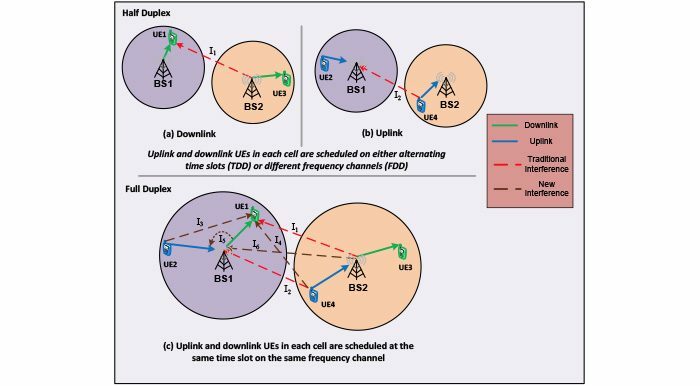 Given the intermittency of mmWave connection between a BS and a UE, this will greatly mitigate the adverse impact of dynamic blockers and roaming from higher layer protocols. Handover delay for this architecture is small, due to the fact that the line rate for the ring can be as high as 100Gbps, and packet processing at the ring node is minimal. Preliminary results show that the upper bound for data plane handover delay is below 1 ms, which satisfies the stringent QoS required by URLLC applications.